Once again, we are deeply humbled and grateful to be listed among the best of the best (in my opinion) of blogs/websites for writers, readers, authors, and poets. Congrats to our colleagues that made this list, and thank you to The Write Life staff for your hard work in the blogosphere, and for putting this extensive list together. Scott Biddulph/Editor-in-Chief @ Two Drops of Ink. Just wanted to give a huge, warm thank-you to everyone who nominated Re:Fiction for this list, and to TWL for curating this great resource. It’s an honor to have made it. Hop over to our website to share the love! Thanks so much for including us in your Creativity and Craft section. We wish your readers many inspiring reading and writing moments! Yay! Thanks so much for including me, you beauties 🙂 Honoured. Delighted to be delivering valuable content to writers–and honored to be included here, among so many outstanding leaders and encouragers in the field. Thank you for all you do here at The Write Life to help writers find success! Wow! What an amazing list. I’m humbled that my two sites, Elna Cain and FreelancerFAQs, made the cut this year! Thanks to all that nominated these sites! I see a lot of sites I visit regularly and some awesome new ones. Looking forward to checking them out. 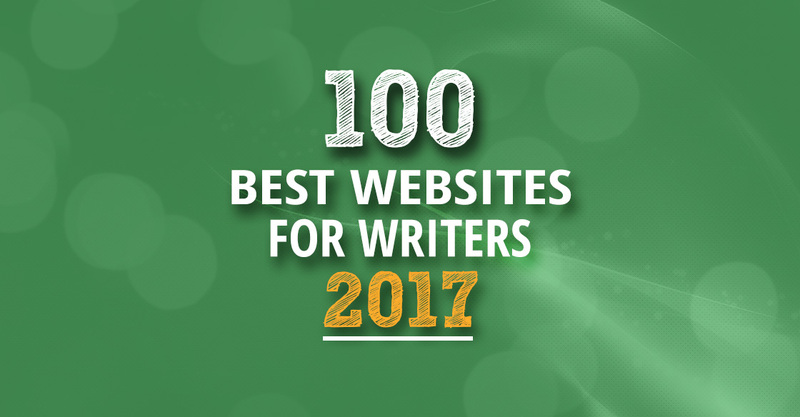 Lovely to be included among such great resources for writers. Many sites that inspire the Now Novel team here. Thanks, Marisol! Wow! What an honor to be included on this list alongside so many rockstars. Thank you! You guys are terrific for putting this list together each year, and it is just so humbling to be on it. Thank you for the kind words regarding our work at Writers Helping Writers and One Stop For Writers. Thank you, Marisol, for the list. There were a few I was not familiar with and this makes it easier to find other quality sites. We are thrilled that Two Drops of Ink was included for the second year. We would welcome guest posts from any of the other writers from the list – or you. Wow, such an honor to be listed here among these awesome websites and resources! Thanks so much for bringing this list together, my friends!! And a huge hug to everyone who nominated the lionhearted blog for this list. Y’all are amazing and you keep me going. Thank you so much for including the IWSG on your list! We’ve been working so hard the past few years to make it the best site ever for writers. Absolutely fantastic roundup! Thank you for putting in the time and effort to compile this list. I’ve shared it with all of my followers and can’t wait to dive in and follow some new brands, too. I’m an article and text book published writer; retired and desiring to write articles again. Therefore, I seek only to write for the sake of continuous publication. Would like an agency wishing to see my articles for potential publication; at my age, I seek no type of writing means in order to publish. Please send me an e-mail that wishes to see my articles. I do not wish either my e-mail or my comments to be published. My total interest is to have my articles reviewed for publication. I’ve written and published articles in the past and would like to continue doing so again. I’m a senior citizen and still enjoy writing. A direct e-mail on submission would be appreciate; for example this article, “Hell in Heaven”. One idea for the future is to include how OLD each site is — gives you a sense of how much information you’ll find on their blog/site. Ooooh! Interesting addition. Thanks for the suggestion, Carol! I started reading your blog now, and I must say it is one of the best blogs or writers. And I agree the older the blog, the better the content. Thank you everyone for creating content that helps people like me dream about becoming a writer some day. What a great list! We’re honored to be included! Marisol—Chiming in to thank you, too. Between us, Anne and I have made all the mistakes (and keep making more) so our readers don’t have to. Bruised but resilient, we tell it the way it is (with humor) and report first-hand from the publishing/writing trenches. So glad you caught wind of this year! I had trouble emailing you two from the contact section of your website. Just wanted to let you know 🙂 Congrats again! Awesome list! I’ve been able to add to the list of sites I’m planning on pitching ideas to, which is so exciting for me, (beginner extraordinaire!) Thanks so much! Thanks for this! Great blogs here. Would have loved to see my PitchTravelWrite.com website listed here, but travel writing is such a small sub-genre of the whole freelance writing field, so not surprised. My website is listed in the Writer’s Digest Top 101 Writing Websites for 2016. It’s for aspiring travel writers & bloggers, and is primarily about marketing & selling travel articles, although the information is generic and can be used by freelancers who write in other genres too. I’d like to cordially invite any novice travel writers to my PitchTravelWrite.com website to learn more about how to break into the competitive travel writing arena. Nice work with this list & The Write Life website. I refer all of the writers I’m coaching to your website! Keep up the good work! We’ll keep an eye on it for next year, Roy! Thanks! I feel so honored to be included in this list. It’s been a goal of mine for years. Thank you so much and thank you for all the great content you share for writers here. So happy to be included!!! It’s cool if I make myself a t-shirt, right?? Excellent. What a great list. Definitely bookmark-able!